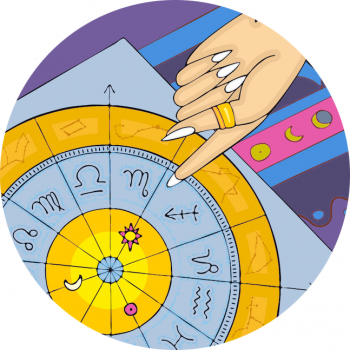 Astrology And Adulthood: What Is The Saturn Return Anyway? Hopefully you’re already a fan of astrology, and need no pursuing that the stars really do have some sway over life on earth. It’s not only the twinkling stars – or zodiac constellations that influence our ways but the planetary cycles, too. 30 maybe a milestone with plenty of candles lighting up your cake, but it’s important to note that by the time you’re 29 and a half, you’ll have experienced your Saturn Return. That’s because Saturn takes 29.4 years to orbit the sun – one turn of the zodiac wheel. Go easy on your parent, grandparent or friend you know that’s around these ages – they may be going through a tough time! So, What Is The Saturn Return? First lets understand what Saturn is. It is of course a planet but it also carries with it a set of mythological qualities, which help is to understand its significance in astrology. The symbolism of Saturn is ‘Grandfather time’ or the grim reaper – death. It’s about discipline, boundaries and focus, about reality and mortality. It’s about responsibility and being a grown-up. Read more about serious Saturn in Astrology, here. When Saturn returns the the place it was when you were born – when it’s done one turn of the zodiac, you’ve reached a maturation process: adulthood. Similarly when the sun has taken one turn of the zodiac we wish you “Many Happy Returns” as a way to say – “We hope you see many more cycles of the sun”. It’s your birth day – an annual event. Some people break up from relationships that aren’t working, while others do the ‘responsible’ thing and get married. Some people quit their jobs and seek their ‘real’ vocation, others commit to their business, industry or career. Some people step into the role of ‘parent’. See Fashion for your Saturn Return and 5 Beauty Products to see you through your Saturn Return. Think of Saturn as headteacher, and the Saturn Return as bootcamp – tough but ultimately delivering strength and resilience. Saturn is the ruler of Capricorn and favours good students – the hardworking lot, willing to put in the hours… Therefore some zodiac signs will deal with their Saturn Return a little easier than others, and it also depends on what else is happening in the stars. You can book a reading with me, Kimberly by emailing kimberly@starsignstyle.com.